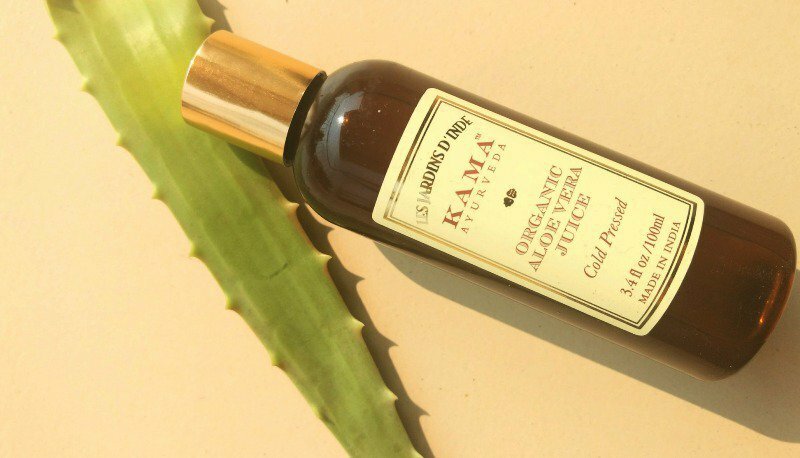 Kama Ayurveda Aloe Vera Juice: Aloe vera is a multi-purpose plant that can be used for the hair, skin, as an intake, in face packs and much more. Its uses are innumerable. But what if you are traveling and you want the goodness of aloe vera juice? You definitely can’t carry a plant around and keep scraping the juice, can you? Kama Ayurveda comes to your rescue. Today, I will be reviewing the Kama Ayurveda 100% Organic Aloe Vera Cold Pressed Juice. Read on to know whether this product jumps to my favorite list or no. My ears and eyes just get alert when they hear words like organic, natural, cold pressed and much more. I came across this 100 percent cold pressed aloe vera juice from Kama Ayurveda and decided to purchase it. Firstly, Kama Ayurveda is an Indian brand that manufactures all-natural products which were a huge plus. Also, cold pressed basically means all the goodness of the natural ingredients is preserved without losing it while processing it. And as we all know, aloe vera is a boon to mankind. I usually use the plant but while traveling, when you want to feel fresh and hydrated, you can’t go find a plant out there. This is the main reason I got this. Now, returning to my experience with the product. When used as a substitute instead of water in face packs, it hydrates, soothes and calms the skin. For people with acne, it greatly relieves the pain and swelling when used regularly. Also, when used for the hair regularly, it reduces dandruff and hair fall. But frankly, I wouldn’t repurchase since I prefer using the aloe plant but recommend it to people who prefer having aloe vera juice in their company during travels for various purposes. I won’t repurchase this but will recommend it to people who would want an aloe product when they travel. 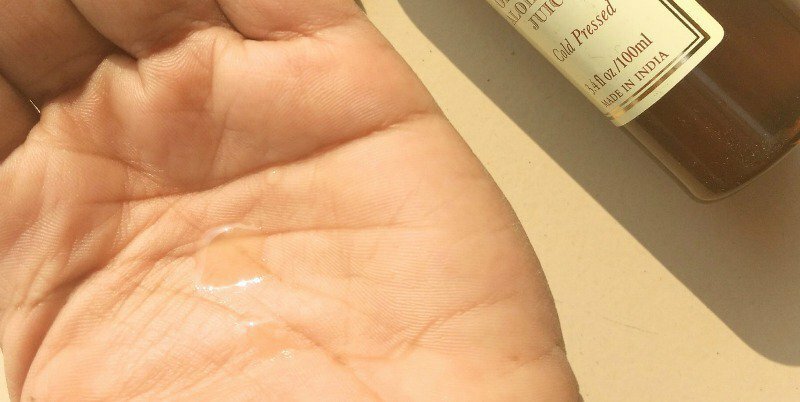 Glossypolish verdict: The aloe vera juice from Kama Ayurveda comes to your rescue when you are traveling and love having this as a toner, astringent and much more. Else, this product definitely makes a hole in your pocket. Rather, plant an aloe plant and reap its benefits. Even i feel applying alovera directly from the plant gives more and better benefits because its easy to plant so thats a better source. Absolutely meghal. This aloevera juice is no doubt,good but best for travel purposes. Otherwise, the good ol’ plant is best. Thank you so much Chaity. Thank you so much sreeparna.